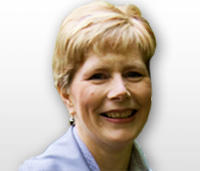 Sue Spencer has 27 years experience in the IVD industry, and has held positions in R&D, Manufacturing and Quality Assurance. Sue worked for a UK Notified Body for 4 years as Technical and Operations Manager covering both the Medical Device and IVD Directives during the introduction of both the Medical Device and IVD Directives. Sue worked as a consultant for 3 years and set up her own consultancy before joining Abbott Diagnostics Division. Sue worked for Abbott for 6 years as Manager for International Quality Systems and Risk Management for the Division. Sue joined BSI in Sep 2009 as Head of IVD; in addition Sue is an experienced tutor and regularly delivers interactive training for BSI using accelerated learning techniques for a variety of topics including ISO 13485 and risk management.